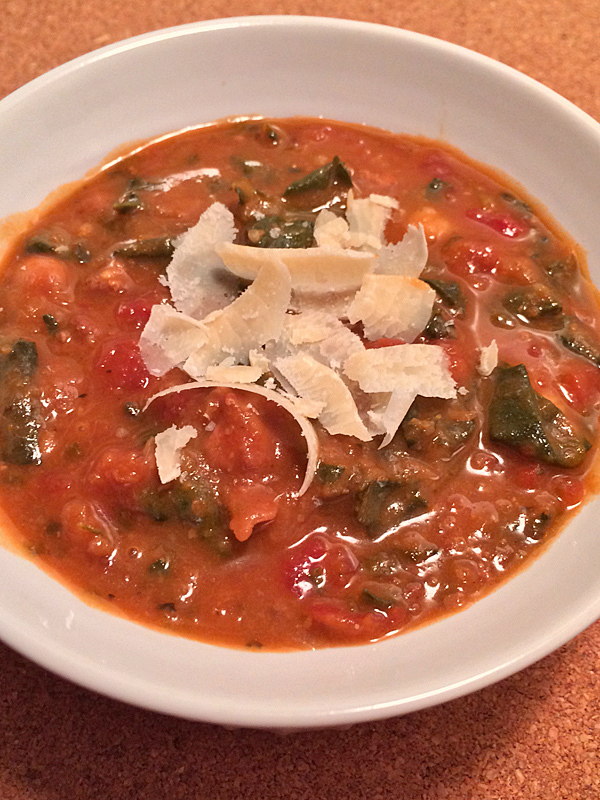 Slow Cooker Kale and Cannellini Bean Soup | Let's Cook With Bry! This soup is delicious, nutritious and easy to make. I prefer the addition of chicken sausage, which makes it even heartier and filling on those chilly winter days. This is also a good weekday meal, as the preparation takes about 15 – 20 minutes. Added bonus: this soup freezes well. In a large skillet, cook the onion and garlic in a little bit of olive oil. Add the sausage (sliced into 1/2 inch chunks if retaining the casing) and cook, breaking up loose sausage into large chunks. Meanwhile, remove the stems from the kale and tear into chunks if using whole leaves. Place the rinsed cannellini beans into the slow cooker, and use an immersion blender (or small food processor) to grind them into small bits, or puree, depending on your preference. 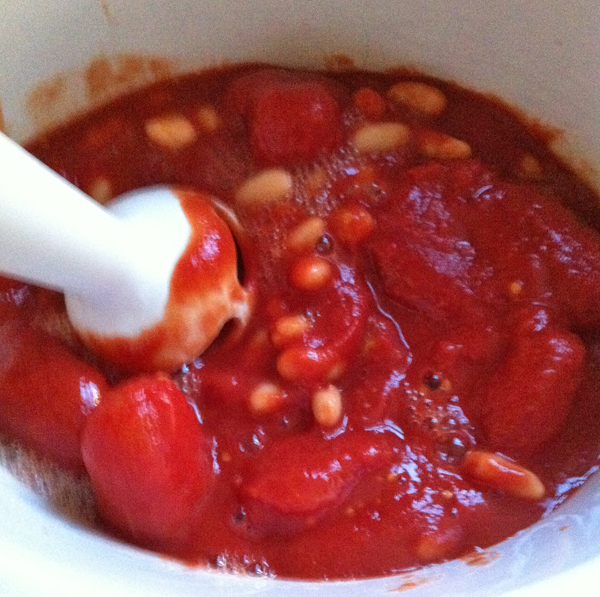 If using canned plum tomatoes, you can chop them together with the beans using the immersion blender. Pour the vegetable broth into the slow cooker with the tomato bean mixture, then add the kale and incorporate. Finally, add the onion/garlic/sausage on top, place the lid on tightly, and cook on low for 4 hours, or all day. If you like, you can dice some of the hard rind of the cheese and add it into the tomato/bean mixture, which will add some nice sharp flavor to the soup as it’s cooking. Serve with shaved or grated cheese and a hard-crusted bread for dipping.